Wyndham and Karma have joined forces to open a hip new beach club on Denarau Island in Fiji. 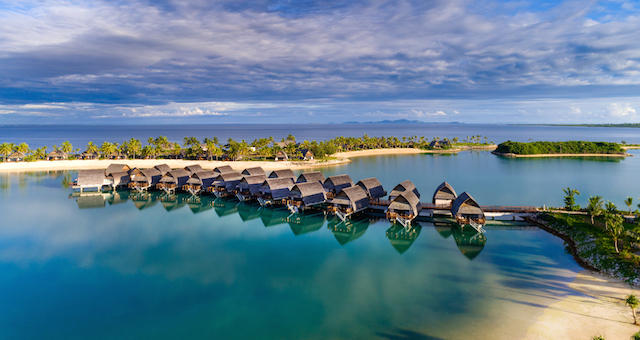 Wyndham Vacation Resorts Asia Pacific and Karma Royal Group’s subsidiary, Beach Clubs International, have jointly announced the opening of Karma Beach Fiji, a restaurant, bar and beach club, positioned on absolute beachfront at the Wyndham Resort Denarau Island. Beach Clubs International is renowned for its beachfront bars and restaurants set in leading locations around the world and the Fiji project brings a game changer to Denarau Island. 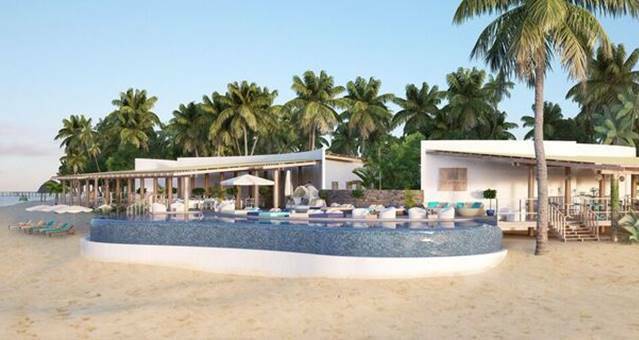 Karma Beach Fiji is a new element of Wyndham’s FJD$50 million (AUD$30 million) expansion of the company’s Denarau Island resort, which includes the completion of 63 new luxury apartments. “We are delighted to be partnering with Karma Beach. There is good synergy with what both Karma and Wyndham represent with both company visions centred on delivering personalised, world-class service to resort guests and vacation owners,” said Wyndham Vacation Resorts Asia Pacific CEO and Managing Director, Barry Robinson. All three bars at Wyndham Resort Denarau Island now feature the Karma Beach cocktails, food and beverage offerings and music. The venues include a brand new adults’ retreat pool bar, the refurbished existing main pool bar and cafe and a newly constructed beach club, which features white sand frontage, a range of day beds, bean bags and private pavilions inviting maximum comfort and relaxation. As a result of the Karma partnership and resort’s expansion and redevelopment, over 40 full-time jobs ranging from bar staff to reception staff to sales representatives have been created. “Beautiful destinations, tasteful music, haute cuisine, unique cocktails and live entertainment are all ingredients for idyllic holidays [and] Karma Beach has combined all these to create truly unique beachside experiences,” Robinson said. Inspired by its tropical surroundings, indigenous materials were used in construction of Karma Beach Fiji, while indigenous ingredients feature in its food and drinks. The cuisine is described as Mediterranean meets new-world cuisine, with an emphasis on the foods of Mykonos. “Karma has built a reputation around an impeccable approach to service. They have created spaces that perfectly blend the local and exotic with laid-back beach luxury, making the Karma brand a great match for Wyndham Resort Denarau Island,” Robinson said. From its flagship Karma Beach Bali at the Karma Kandara Resort in Bali, a world-renowned venue that has set the highest standard for the Karma Beach Club concept, to newly launched locations on Denarau Island in Fiji and Karma’s very own Little Harbour Island in the Bahamas, Beach Club International is dedicated to creating “memorable and meaningful destination experiences”. “We’re proud to partner with Wyndham in creating experiences like no other at their world-class resort, which offers the perfect setting for an island holiday escape,” said John Spence, Owner and Chairman of the Karma Royal Group. Signature cocktails at Karma Beach Fiji are crafted by an in-house mixologist and made only with leading spirits. There is also a wide-ranging list of unique and classic cocktails as well as an expansive international wine list. Karma Beach Fiji also offers a range of breakfasts and brunches, with homemade juices and jams and local dishes. Lunch, dinner and all-day-dining are also available.